and that is why recreating a worthy recipe is so enjoyable - that is no ordinary bologna spread ... good to see you getting back in the groove, any update or news of a restaurant? What a brilliant idea! Beautiful plating. 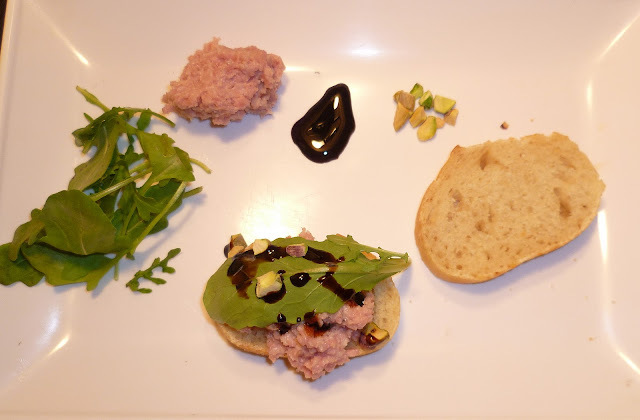 My son eats mortadella every day for work, he is going to love this thanks for the recipe! What a beautiful dish! I usually adapt my recipes to my own tastes, but every once in a while I find a recipe that I know I must follow precisely! Thank you for sharing and for visiting my blog! Many blessings on you and yours this weekend! A beautiful plate, love the presentation of this delicious appetizer!